TV Shows and Related Books – Barnes & Noble Shop | Portraits of M.E. How often to do you buy and read books based off a television show? Yesterday I made a visit to Barnes and Noble with my niece Amanda. We headed to the Science Fiction section because I like to look at the Star Trek books. Since the original Star Trek series lasted only three seasons, I like to read the books and imagine what it would have been like if the story written was an episode starring such now famous names as William Shatner, Leonard Nimoy, and DeForest Kelley. After skimming through the one shelf of books available (yes, I was hugely disappointed there was only ONE shelf of Star Trek books), I began to browsed the other aisles around the area and came across a book from the TV series Once Upon A Time. What actually caught my eye first was the book cover, which then lead me to read the title and then to the discovery that the book was about a character from the series Once Upon A Time. My niece noticed the fun black pages on this book. Once she pointed it out, I had to take a picture. Photo credit goes to my niece since her camera captured a better picture than mine. Out of all the television shows I have watched, I have never read books that branched out from those shows…besides Star Trek. It’s just never been a desire of mine to continue to read about the series once I’ve seen the show. I’m not sure why Star Trek is different, but I think it’s because I felt unfulfilled when the series ended so shortly after it started. With the other shows I’ve watched, the series lasted 6, 7, 8+ years which gave it enough time to end the series on a satisfactory note. Even being a Star Trek fan, I have had no real longing to read the books about the spinoffs of the original series such as DS9 or Voyager, etc. (unless the book featured a prominent character from the original series). This is the cover that caught my attention even before I noticed the book was about a character in one of my favorite TV shows. So when I discovered this book I was actually intrigued by the story about Red (Little Red Riding Hood). I even thought about buying it, but it was full price and I couldn’t see myself paying $16.99 for a book. Instead I took a picture of it and placed it on my “wish list” for purchase at a future date. My trend of not reading books based on a television series might have ended…although I can’t be sure yet since I haven’t read the story. It is going to depend on how well written and how interesting the story of Red is going to be. 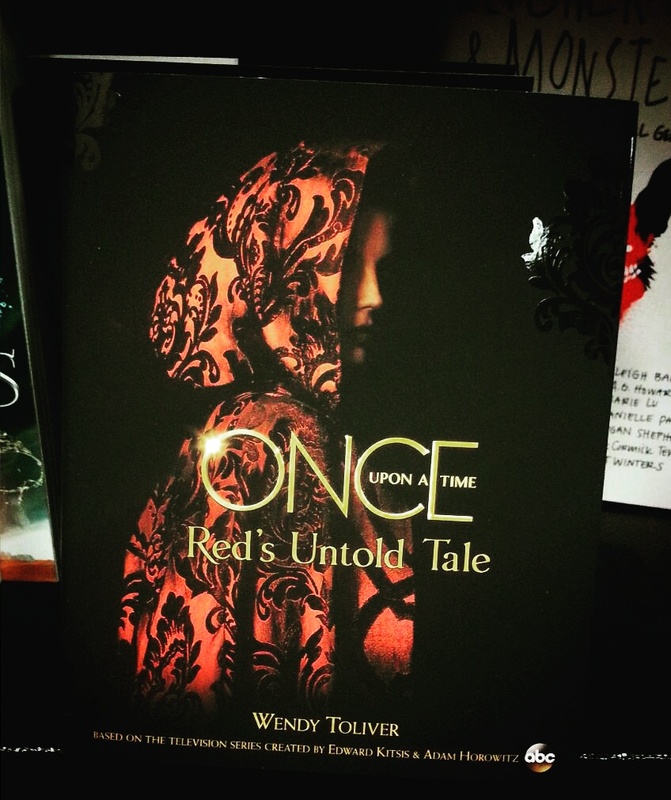 After finding this book about Once Upon A Time, it made me wonder how many fellow readers love to read books which are based on a television series. 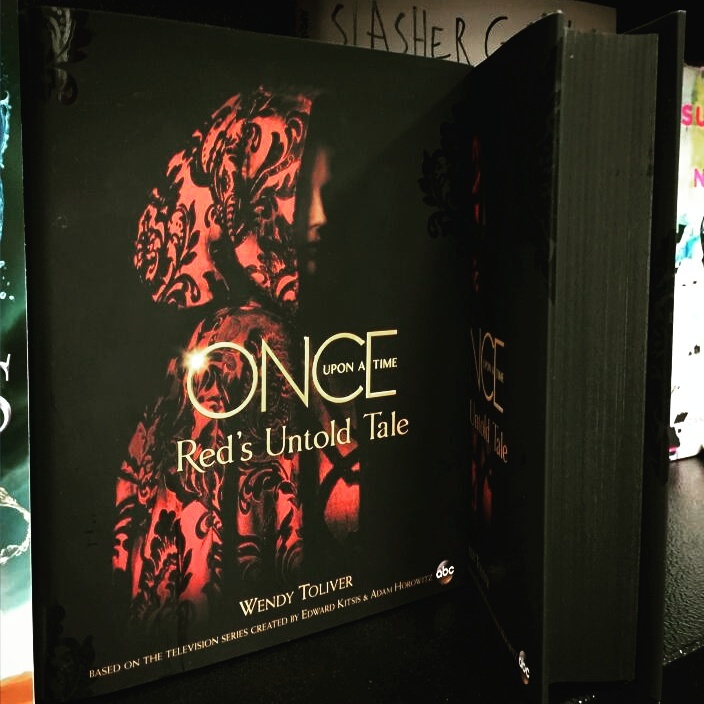 There are so many books written after television shows and I have never really migrated towards these types of books, but finding an interesting story about Red might change my ways.